One of the biggest mistakes brands, web designers, and marketers make is failing to employ a lead generation strategy on their website. For a website to be an active digital marketing tool, it needs to do more than just explain who you are and what you do. It needs to lead prospects down the path toward doing business with you and give audiences a way to take action. It needs to have a lead generation strategy. A lead generation strategy encourages website visitors to give you valuable information such as their name, email address, and phone number. You can then take that information to nurture the leads and guide them through the rest of their buyer’s journey. 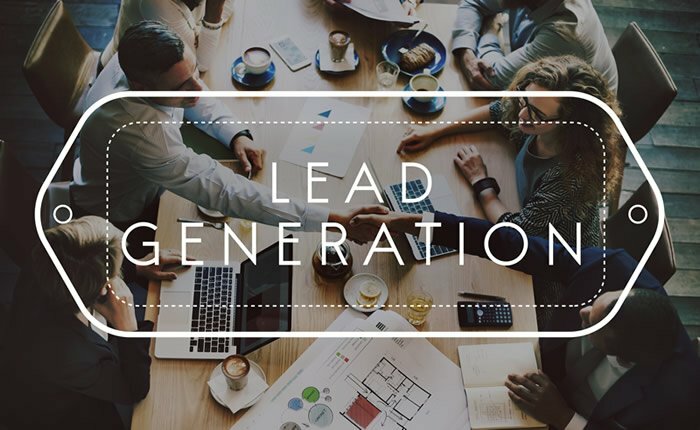 Every website should have a lead generation strategy so it can actively connect you with potential customers and prospects. So if your website isn’t optimized for lead generation and you’re making this costly website mistake, here are a few ways you can fix it. Create an enticing opt-in offer. The most effective lead generation strategy doesn’t simply ask prospects for their contact information; it gives audiences a compelling reason to share their information. They present an enticing opt-in offer that encourages a prospect to sign up. So, the first step in optimizing your website for lead generation and inbound marketing is coming up with an appealing opt-in offer. Consider your target audience and develop an offer they won’t be able to resist. Once you have your opt-in incentive, you must set up a system so audiences can pass over their information and receive your offer. You need an opt-in form. To create an opt-in form, you should us an email marketing software (like MailChimp, ConvertKit, etc.) or a customer relationship management tool (like Hubspot, InfusionSoft, etc.). Those systems enable you to collect user information, create profiles for your contacts, track details about them, and send mass emails. Once you have a tool for collecting and managing contacts, use it to create a lead generation opt-in form for your website, and add it to the places where audiences are most likely to see it. You can place your opt-in form in a few locations around your website. Hello Bar: Place a thin content box across the top of your website that guides users to your opt-in. Sidebar: Add a box to the side of your main content. It’s important to note that sidebar boxes may be less effective as they are often bumped to the bottom of a page when a site is viewed on a mobile device. 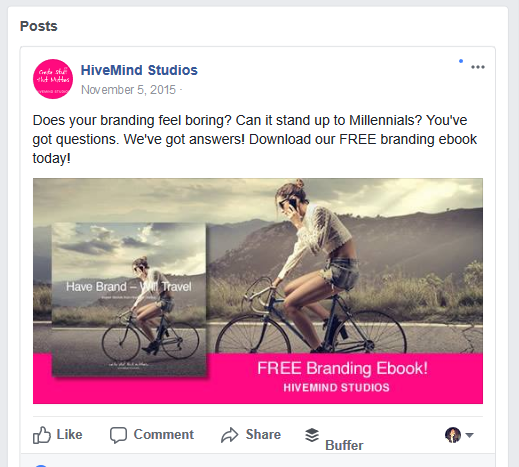 End of Posts and Pages: Add a call-to-action that directs readers to the opt-in at the end of each of your pages and posts. Footer: At the bottom of your website on every page, include a box with your opt-in offer. Having a great opt-in won’t do you any good unless people know about it. So the next step is promoting your offer to draw people to your website and opt-in form. Blog Content: Mention your opt-in in the body of your blog post content or guest post content. Guest Post Author Bios: If you provide content to another blog or website, mention your opt-in in your author bio. Pop-ups: Remind readers about your opt-in by promoting it through on-site pop-ups. But, if you use them, make sure you follow Google’s best practices for mobile interstitials. Social Media Profiles: Promote your opt-in using social media cover photos, by adding links to your opt-in on your profile pages, and using pinned posts. Paid Social Media Ads: Pay to promote your opt-in on social media sites by using targeted ads. Test until you get it right. Any lead generation strategy is better than no strategy at all. But, you shouldn’t throw together one opt-in and call it a day. To get the most out of a lead generation system on your website, you should constantly test, track, and revise your strategy. Use A/B testing to find out which offer, copy, button colors, and graphics attract the most leads. Get even more out of your lead generation strategy. This is just the beginning of what you can do to optimize your site for lead generation. For even more tips and strategies on how to build an effective plan for collecting high-quality, hot leads, get our free ebook. This FREE guide will show you how to give your prospects exactly what they need so you can attract and convert more leads through your website.